QwickPAY uses a browser-based Virtual Terminal to store and retrieve all of your sales history in an easy-to-read spreadsheet format. You can view and sort the data on screen, or download the report as a CSV file for importing into other applications such as Excel and QuickBooks. If you process transactions from multiple devices, the Virtual Terminal gives you access to your transaction data from every device, all in one place. A standard report allows you to view a sortable list of all transactions between today and up to 90 days prior. You can view information about each transaction (card type, amount, tax and tip, date and time), the customer (first and last name, contact details, last four digits of the account number), as well as the response messages (approved or declined). 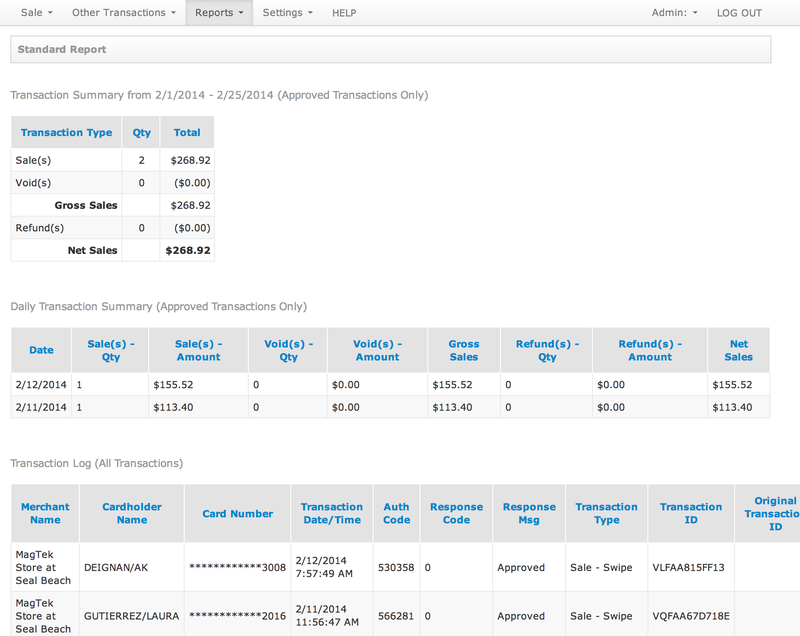 The Daily Transaction Summary gives you a quick glance at your total sales for each day in the selected time period. 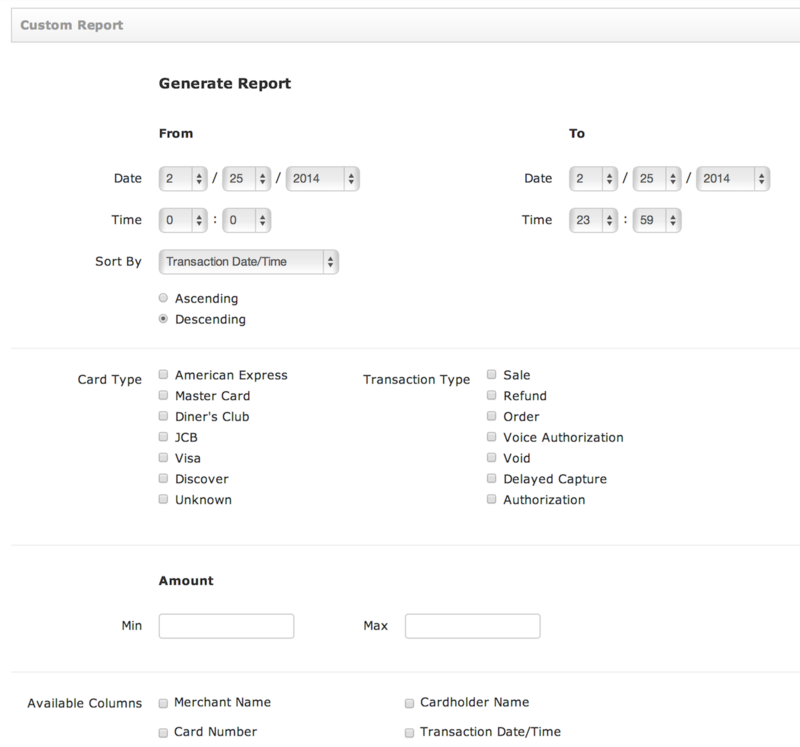 A custom report lets you select a specific date and time range, as well as restrict the search criteria based on card type, transaction type, range of dollar amount, and other details about the transaction and customer info. The receipt of any transaction from the last 90 days can be viewed and printed from your transaction reports.